Bellevue's best kept secret! This beautifully appointed 1 bed, 1 ba condo in Yarrowood community is a move in ready. Easy access to I405, 520, Kirkland Corridor Trails, Short distance to downtown Bellevue & Kirkland's waterfront.Updated vinyl windows, wood burning fireplace, brand new carpet, flooring dishwasher & range. Community rm w/game rm, outdoor pool, tennis court, strong HOA. Covered parking & a large deck w/storage (not ground flr) that backs to a lush greenbelt for lots of privacy. Stunning, unobstructed views of Lake Washington & the Cascades. Oversized living room w/ floor to ceiling windows, gas fireplace, adjoining dining room, & updated kitchen. Spacious master w/ private bath, ample closets/storage throughout, & W/D in unit. Exceptionally quiet, well maintained bldg! Beautiful pool & garden area, sauna, fitness center, access to Sand Point CC driving range & tennis courts. Deeded parking space. Onsite manager. Easy access to Burke Gilman Trail, UW, & Univ. Village. Iconic Belltown loft at Site 17�first available since 2016. Gleaming concrete floors, soaring 18� ceilings, expansive windows and full height bedroom with en suite powder room define this unique space. Generous walk-in closet with Elfa shelving. Parking and storage on same level = easy in and out. Freshly painted, water heater recently replaced. Building amenities incl. On-site manager, roof deck, fitness center and community room. Walk Score 98. High-speed CondoInternet ready. No rent cap! Sleek, savvy living at Press...updated east-facing studio welcomes morning light and places you in the epicenter of vibrant Capitol Hill. Kitchen features granite counters and breakfast bar. Renovated bath includes new vanity, mirror and fixtures. More-than-meets the eye storage with expansive closet and extra built-in at entry. Space to stretch out and entertain on the roof deck with downtown views, plus full gym, community room and business center. No rental cap! Walk Score 99. Spacious, light-filled one bedroom unit in the heart of University District. Featuring a massive living space with oak hardwood floors, French doors leading to bright master bedroom with giant walk in closet, and kitchen with custom hickory cabinets and tons of counter space. Fantastic location with a walk score of 96! Just two blocks from UW, near parks, bus routes, restaurants, shops, and grocery. Includes free onsite laundry, bike room and storage unit. Dues cover water, utilities and taxes. Price drop! Modern condo in unique boutique building on a quiet street at the top of Queen Anne. South-facing & bright w/ bamboo flooring, updated kitchen, subway tile in bath & large, private patio. In unit 2-in-1 w/d, free commercial laundry in building, & reserved parking off alley. Just blocks from Molly Moon, Cafe Flora, 5 Spot & easy bus to downtown, this condo is in a perfect tranquil setting while offering all the conveniences of urban living. Take in the incredible mountain and lake views from this stunning corner unit at Ruby! Bright and open living area w/ soaring ceilings and a wall of windows provides plenty of space for living, dining and cooking in the chef�s kitchen with granite counters, stainless appliances and gas range. Large bedroom w/ ample storage, secure parking & bountiful owner�s garden in desirable building just a stone�s throw to restaurants, bars & shops. Easy access to I5 & transit. Pet friendly & no rental cap! 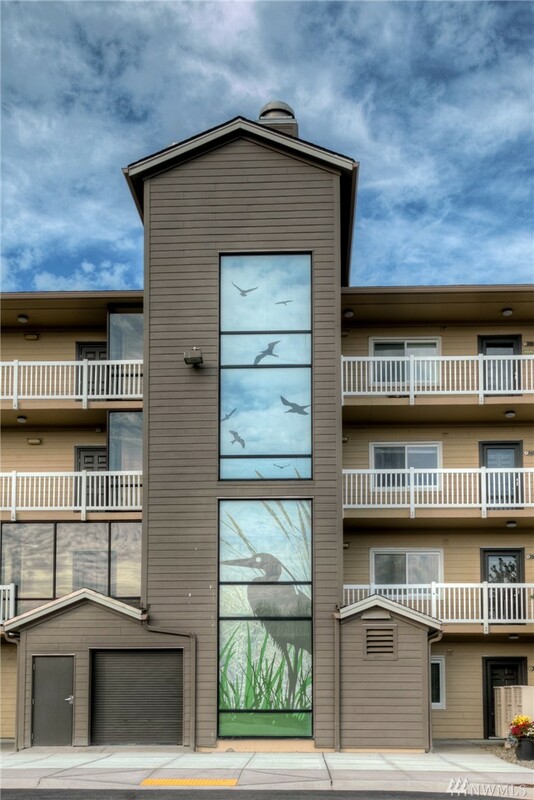 Stunning condo w/low dues & an easy commute to downtown/SLU! Freshly painted, this 1/2 a floor up, condo's open plan is flooded w/ natural light, flowing seamlessly from the living room w/bamboo floors & cozy fireplace into the dining rm w/balcony. Just beyond is the updated kitchen w/granite counters, SS appliances & slate floors. Generous master w/ lg closet & � bath. Baths feat. slate flrs & marble counters. Views of Mt. Rainier & DT, in-unit laundry & assigned parking! No rental cap. 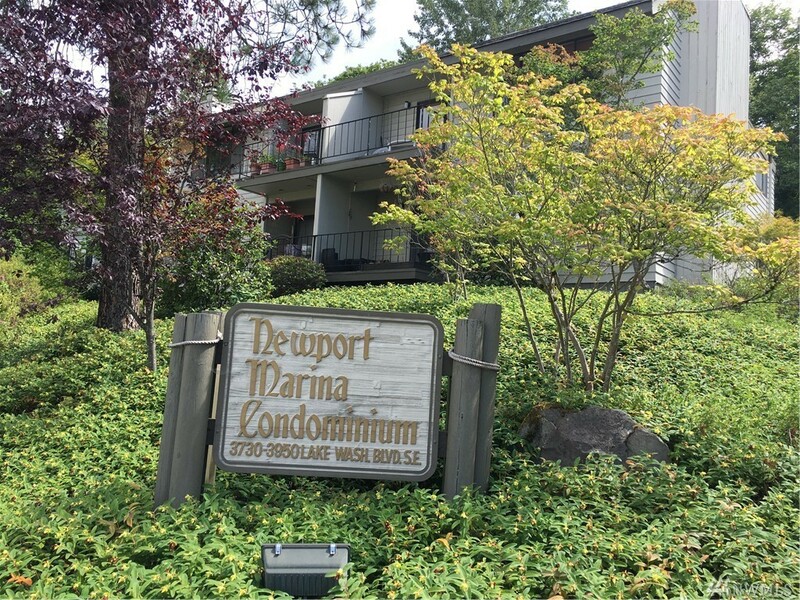 Welcome home to this centrally located, well-appointed condo in the Green Lake area! Featuring bamboo hardwoods & custom moldings, updated kitchen w/ granite counters & SS appliances, 2 full baths w/ marble counters/ heated floors, & wood fireplace w/ granite/wood mantle. Private deck plus larger communal patio. W/D in unit & 1 parking space + storage in secure garage! Close proximity to Greenlake, Greenwood, Ballard, shops, coffee, transit. Minutes to Downtown, SLU, I5. Low HODs, no rental cap. Stunning SW Corner Unit. 2 BR/2BA + Den w/Murphy Bed; Practically a 3 bedroom unit! Master Suite includes Book Shelves, Built-in Shelves, Walk-in Closet, Soaking Tub, large Shower & separate Toilet room. All closets and shelves by California Closet. Great Living Area for Conversations, Entertaining & Relaxing. Open Kitchen w/lots of Storage & SS Appliances. Floor to ceiling windows with electric blinds (remote controlled). Two Secured Parking Spaces. Oversized storage located in the garage. Two bedroom condo, nestled in a park-like setting. Top floor end unit. West facing balcony allows ample sunlight and an open floor plan. Separate laundry room includes full size W/D and offers generous storage space. Unit has cozy, wood burning fireplace. A short distance to ECC, shopping, parks, and Lynnwood Transit Center that is projected for future light rail. Quiet complex. No rental cap. Some modern updates and this unit could be a great investment or starter home. Welcome to this 2-bedroom Kirkland with everything you want: 1 covered parking spot, newly installed laminate hardwood flooring in kitchen, dining, and living room, with carpet floors in 2 bedroom and with vented fans in kitchen, bathroom, and in-unit laundry. Quick access to 405 and 3 bus routes. Convenient shopping: 5 minutes away from new Totem Lake shopping center and groceries like QFC, Fred Meyer and Costco. No rental cap! Immaculately maintained 2bd/3bth condo on the hillside with Breathtaking views! Main floor features an open floor plan, gas fireplace, hardwood floors & new carpet. Kitchen has new Quartz counters, gas range and double pantries. Upper Level master has vaulted ceiling, walk-in closet, en-suite w/large shower. 2 Car Garage. Entire interior (to include doors and trim) professionally painted last summer. Secluded and very quiet yet minutes away from Golf Course, shopping, Boeing and Paine Field. The Outlook at Oyhut Bay Seaside Village are the only condominium homes at the New Ocean Shores Resort Village of Oyhut Bay. Spacious 1BR condo on 1st floor w/extra large kitchen, SS appliances, cozy corner fireplace & large private deck. Master ensuite/plus full bath for guest. Elevator served building. Come see us at the beach! Furnished models open daily from 10-5 or by appt. Spacious 3BD corner with Ocean Bay Views. Light from 3 directions! Master ensuite, large kitchen, propane fireplace, large private deck. Elevator served building. ESTABLISHED VACATION RENTAL zoned for nightly rentals in the new Oyhut Bay Planned Development. SS appliances stay & washer/dryer. Planned coming amenities: grocery store, trails to the beach, playgrounds, shops, canal/lake access. Solid rental history already established! Wow - so close to everything - coffee, shopping, dining and more right outside your door & on bus line for an easy commute! When you're done exploring California Ave, come home and enter to your open floor plan with new hardwood floors, kitchen with granite counter & eating bar & stainless steel appliances (including new fridge!). Bedroom sits at the back of the home- quiet and private, with walk-in closet. New washer/dryer. Off-street parking and storage included, you won't find a better value! AVID Townhomes excellently located close to all that Bellevue has to offer including shopping, dining & entertainment. Easy access to commuter routes and major employers. Great room design, abundant use of windows for lots of natural light. High caliber features throughout; quartz countertops, SS appliances, plush carpet, tankless hotwater. Divine Master Suite. 3Bedrooms/2.5Bathrooms, 2Car Garage. Bellevue Schools! Early December completion. Amazing location minutes to DT Bellevue, I-90, 405, & Newport HS! This newly remodeled 2 bd/2 ba lower flr unit features hardwood floors, a spacious living area with updated windows & plantation shutters, wood FP, large deck & open dining area. Beautiful kitchen with oak cabinets, stainless steel appliances & pantry. Large master bdm has california closets & bath with shower. Gorgeous full bathroom, W/D, extra storage, 2 pkg spots, W/S/G included. Great for downsizing, or person on the go! Luxury, location and walkable, maintenance free lifestyle... that's the Townhomes at Westridge in Issaquah Highlands! 4 fabulous designs range from 1,519 sq. ft. - 2,360 sq. ft. This open concept plan, the E20 is 2,191 sq. ft, & offers 4 bdrms (one on ground level), gourmet island kitchen (w/HUGE island), covered deck off main level, top level Bonus w/another deck. Contemporary aesthetic inside and out, lux appts. & walkable to Grand Ridge Plaza! Luxury townhomes at Westridge in Issaquah Highlands by Polygon Northwest, A Proud Division of William Lyon Homes! 4 fabulous designs range from 1,519 sq. ft. - 2,360 sq. ft. This plan, the F22 is 2,360 sq. ft, & offers 4 bdrms (one on ground level w/private courtyard), island kitchen, covered main level deck, top level Bonus w/another deck. Contemporary style exterior, open concept, luxury appointments and walkable to Grand Ridge Plaza... ideal for daily living or entertaining! Contact shelleyshomes4u@yahoo.com if you'd like more information on finding your dream home or preparing to sell your home. The information contained in each listing has not been verified by Shelley Propernick. NWMLS listing data (indicated by the three trees icon) is provided (but not compiled) courtesy of the NWMLS.